I am please to announce that we are now accepting Guest posts on our blog Tricks zone. In return you will get backlink and large amount of traffic from our blog. 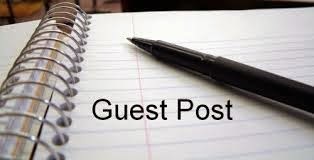 Guest Author Name and Blog details will be posted below each post he write. So don't miss your chance to increase traffic to your blog. We accepted post related to Computer Tricks & Tips, Hacking, Mobile Tricks, facebook Tips & Tricks and other topics related to web and techology. Write a Good post on any of the topic listed above. Do Not Copy and Paste from other blogs or websites. You can write what other blog have already published but write it in your own way, in your style and send me that via following method. One of the best site for Tips & Tricks.